»New York City»It’s Moon Cake Time! Happy Mid-Autumn Festival. It’s Moon Cake Time! Happy Mid-Autumn Festival. When was the last time you presented someone with a fruitcake? It’s Zhōngqiū Jié, the Mid-Autumn Harvest festival in China. This year, the official date of the holiday is September 19th. The date changes but is always during the 8th month on the 15th day on the Chinese calendar when there is a full moon. This typically falls close to the autumnal equinox. 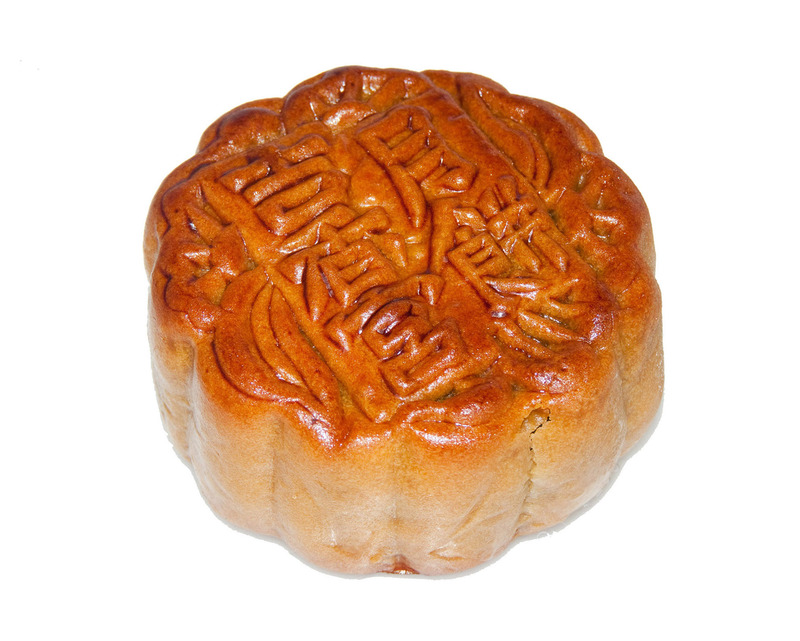 One of the quintessential foods given as a gift during this time is the moon cake. The pastries are circular, about 4 inches in diameter and about 1.5 inches thick. Classic fillings include lotus seed or red bean paste, and duck egg. They’re often cut into small slices and shared. The texture is dense and a little sweet. If you live near a Chinatown, now through September 19th is the time to pick one up or a box of them (sold in packs of 4). This traditional sweet is given as a gift to friends, relatives and business relations. These days, many in China view Moon cakes as akin to fruitcakes. That is to say, the gift is received, not opened and quickly re-gifted. Lately the moon cakes have become somewhat controversial. The boxes given as gift to business associates are sometimes made of gold for example so China is attempting to crack down. Waste is another issue where in Hong Kong alone 2 million moon cakes were thrown out last year. While it’s considered by some as the fruitcake of China, I found the flavor to be enjoyable but had to eat it over the course of several sittings with tea. In New York, you can find them in Manhattan, Brooklyn and Queens Chinatowns. Oh man my husband and I love moon cakes. They can send them all to my place!!!!!!! Hahha they are delicious. Before this week is said and done I’m going to have to try the lotus flavor. Thanks for the comment. Cheers! I love moon cakes and especially lotus flavor, but you are right, it takes me several sittings to eat it! Thanks very much. After seeing your comment and reading about it I just bought one lotus flavor to try it. Very excited. Thanks for the comment!